While the event was billed as tapas and wine-tasting, it was really a sit-down dinner. Five courses, five wines. The food was wonderful and included oysters, arugula salad, salmon, lamb and lentils, and poached pears. I had to go light on the alcohol since I had an all-nighter ahead of me to finish up two articles for eMileHigh (http://www.emilehigh.com). On Thursday September 20, I went to an outdoor party in Boulder thrown by KPMG (http://www. kpmg.com), Silicon Valley Bank (http://www.svb.com), and Sequel Venture Partners (http://www.sequelvc.com). It was an island theme. There was a steel drum band playing and we got tropical drinks in souvenir mugs. I spent time talking to Mark Weakley of Holme Roberts & Owen (http://www.hro.com) and Dave DuPont of LeftHand Networks (http://www. lefthandnetworks.com) about recent events and about music. I also spotted Catharine Merigold of Vista Ventures (http://www.vistavc.com). Adding to the pleasant atmosphere was a charming little red-headed girl in a long dress displaying her considerable dancing skills. It was a nice touch after a long two weeks. Masur and Associates (www.masurlaw.com) and the Law Offices of Stephen Filler (www.nylawline.com) are offering free legal consultations to businesses affected by the WTC tragedy. Contact Stephen Filler, Esq. at sfiller@nylawline.com, Cell 917-213-0303 or Steven Masur, Esq. at smasur@masurlaw.com, Cell: 917-613-8321. ** The United States flag should never be used as wearing apparel, bedding, or drapery. It should never be festooned, drawn back, nor up, in folds, but always allowed to fall free. Bunting of blue, white and red, always arranged with the blue above, the white in the middle, and the red below, should be used for covering a speaker's desk, draping the front of the platform, and for decoration in general. ** The flag should never be used for advertising purposes in any manner whatsoever. It should not be embroidered on such articles as cushions or handkerchiefs and the like, printed or otherwise impressed on paper napkins or boxes or anything that is designed for temporary use and discard. Advertising signs should not be fastened to a staff or halyard from which the flag is flown. Wireless: what's getting funded and why? That evening, SpireMedia (http://www.spiremedia.com) had an open house. It was an ADCD (Art Directors Club of Denver) and AIGA (American Institute of Graphic Arts/Colorado Chapter) event so virtually all the attendees were members of the Denver design community rather than Internet and tech event regulars. Spire's offices are on several floors in the historical Daniels and Fisher Warehouse #2 in LoDo. As I would have expected from Spire, it had a nice laid-back atmosphere with a dog in residence. (The place reminded me quite a bit of Sports & Fitness Publishing, the Boulder magazine publishing company where I used to do market research. After a buyout, the principals went on to form Radar Communication, a qualitative research company and trends spotter.) Wandering around Spire, I saw Mike Gellman looking CEOish in his office. And Brett Madden and Brandon Shevin were out and about chatting with attendees. I met CFO Curt Johnson and I had a chance to talk at length to Terry Logan who was telling me about the usability research Spire does. I also saw Erich Stein (http://www.erichstein.com), who is doing some industrial design work along with his PR consulting. As an aside, I heard from Dave Hieb who is Spire's new VP of sales. On September 29, the Boulder Community Network (http://bcn.boulder.co.us/) had its seventh anniversary party at Trios. I had a chance to talk at length with the keynote speaker, Lisa Napoli, currently with MSNBC and MSNBC.com and formerly with the New York Times. This was her first flight out of New York since the World Trade Center disaster and she shared a story that John Cheever might have written for The New Yorker had he been alive today. On the plane from New York to Denver, sitting across the aisle from Lisa was a woman talking on a cell phone. She was reciting details of her will -- what to do with the pets, the name of the lawyer in Denver to handle her estate, the amount of her investments. Then she said goodbye just in case she died in route. If this wasn’t unnerving enough, Lisa realized the woman was leaving all of this information on voicemail. Presumably she hadn’t given much thought to preparing for death until she was sitting on a plane. And then her need to handle her affairs became so great that she was willing to recount it all to a machine. Just the thing to inspire confidence in airline travel. To read more about the BCN meeting, go to: http://www.emilehigh.com/news/viewnews.asp?alt=100001853&author=Lainson . On October 2, First Tuesday (http://www.ftdenver.com) met at the Mile High Station. Approximately 700 people attended, which was an intentionally smaller turnout that last time. Director Tom Filippini said they wanted to reign in attendance a bit. As always, it was a great party. Among the VC community members I spotted were Catharine Merigold of Vista Ventures (http://www.vistavc.com), Sarah Gutterman of Boulder Ventures, Chris Wand of Softbank (http://www.sbvc.com), and Steve Swoboda of iBelay (http://www.ibelay.com). Music was a popular conversation theme. Pete Dignan, CEO of ProtoTest (http://www.prototest.com), gave me a CD of Down to Gray (http://www.downtogray.com), his son's band. Phil Smith of RePlay Rich Media (http://www.replayhq.com) chatted about his business partner Chris, who is also plays drums for the band Running with Sally. Brian Smith, president of Sonant (http://www.sonanat.net), does some DJing. And singer/songwriter/rocker Wendy Woo (http://www.wendywoo.com) was there in her role as music entrepreneur. Among those I talked to were Matt Brown, principal and creative director of ProMotif (http://www.promotif.com), Ronald Duce, VP, science and technology group, Kiewit Construction Company, Greg Houghtaling, business development manager for Fourthought (http://www.fourthought.com), Dan Lubar of dataDistributions (http://www.datadistributions.com), Jon Fetzer, VP of operations and product development for TamTam.com (http://www.tamtam.com), and Mark Weakley and Linda Wackwitz of Holme, Roberts & Owen (http://www.hro.com). To read more about the First Tuesday event, go to http://www.emilehigh.com/news/viewnews.asp?alt=100001852&author=Lainson . Apologies for the garbled message you received Friday. We've worked out the snafu with our provider. Here is the newsletter again for your reading pleasure. That love is the greatest thing in the world; that it alone can overcome hate: that right can and will triumph over might" - John D. Rockefeller, Jr. In quick response to the times and the industry, the New York Venture Group hosted a breakfast on Wednesday, September 26th on "How Terrorism will affect VC" at the New York Athletic Club. As if the technology industry didn't have a tough enough year, it's hard to imagine such a topic also being pertinent, and yet this is what it's come to. So here we are, networking, listening and discussing how something like terrorism will affect venture capital in the technology-related fields. National Venture Capital Association president Mark Heeson spoke to the gathered group of attendees on the clear, crisp morn on a few different points. He began with a brief perspective. The industry was not in the best of times prior to September 11th. The mergers and acquisitions and IPO markets were not so great. And now, according to Heeson, September 11th extended the period where the IPO market will remain shut. Furthermore, corporations that were aggressively buying companies are becoming more conservative for the short term. Thus, Heeson surmised, if venture capitalists can't exit any of their companies soon, they'll have to hold onto them for a longer amount of time, which in turn means they can't invest in new companies. The issue gets more complicated and distressing because this is a good time to invest in new companies, Heeson reasons, because the entrepreneurs out there are really good. For the most part, the entrepreneurs that are out trying to get VC right now are serious entrepreneurs, they have a good business plan, have good management and the companies are being offered at great deals to the VC. It becomes a question of Time: entrepreneurs don't have much of it to stay afloat, and VCs now have to grapple with time management between old investments and new potential ones. Heeson has been at the helm of the NVCA for two years but has been within its corridors for eleven doing public policy. Before that he gained experience as a tax attorney and lobbyist with the Texas State legislature and a former governor of Pennsylvania. The 28-year-old Arlington, VA-based organization represents 430 venture capital firms in the US, which is 90% of the industry. From this perspective, they can see what's going on in a national level and also keep their fingers on the pulse internationally. Heeson noted that European investors have paused with their investing in US venture capital deals. "It's not the best time for VC investing." However, he points out that "they were so dramatic. They pulled out thinking they won't invest in US deals, but rethought their decision because they saw us regroup quickly." The fact that we got our markets back up to speed and resumed business so efficiently gave a strong vote of confidence to European investors. There's more good news too. This year the amount of money raised and the amount of money put in companies will be the third best year ever for VC nationwide, despite the number being half that of last year. Heeson rounds up "we'll continue to have our ups and downs, but we're not going away. This is an asset class that's not going away." And there are some new investing opportunities as a result of the terrorist attacks. There's increased attention on wireless technologies beyond just cell phones. And the stuff they make James Bond movies out of--voice recognition, digital fingerprinting-are coming center stage as viable investments. Good ol' industries like energy, too, are looking like attractive investments and important markets to focus on. 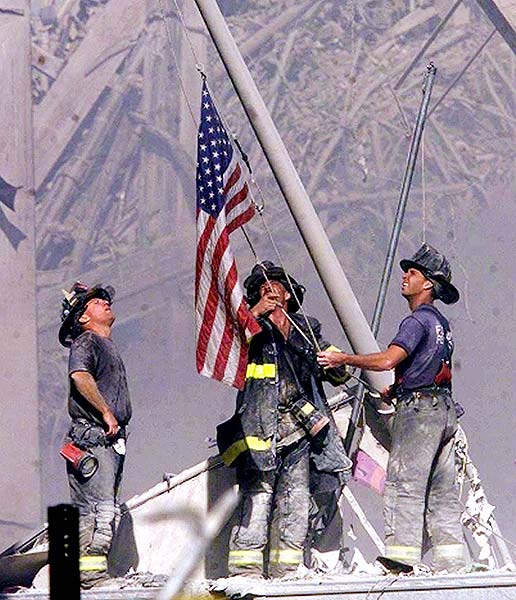 One thing is for sure: life has not and will not be the same after September 11th. And the reverberations in the investment community are just beginning to ripple. There will be many more for a long time, each with an interesting play associated with it. It appears that things are moving forward again after such a tragic past few weeks. While initially the talk was of the horrific events, now conversations at networking events and business meetings seem to be focused on how we are going to keep afloat in the economy. As can be expected, entrepreneurs with start-ups and those employed in the tech fields are most concerned. It was a topic I discussed with Jeffrey Starr of Mission Ventures, whom I met at a recent TiE San Diego meeting in La Jolla. According to Jeffrey, Mission Ventures http://www.missionventures.com is still looking for the next great thing, despite the economy; however, they seem to be doing a lot of "hand-holding and refocusing right now." We spoke too of the trend to take advantage of this downtime by attending programs designed to assist the entrepreneur and technology worker - programs like the TechNetEd series at the San Diego Regional Technology Alliance (SDRTA) http://www.sdrta.org/, the eSeries by the Forum for Women Entrepreneurs (FWE) http://www.fwe.org/socal/, the SCORE programs, and university based programs like the SDSU College of Extended Studies http://www.ces.sdsu.edu/. When all is said and done, San Diego should have one of the most educated and well-prepared workforces at the ready! Speaking of TiE San Diego http://www.tiesandiego.org/, I was once again struck by what a great group this is when I attended their September 25th chapter meeting. All proceeds from the event went directly into a Red Cross relief fund, and the meeting itself of over 60 people began with a full minute of silence. Chapter president Suren Dutia also made mention of one of their members who had moved to New York City just days before the attack in order to begin his job at the WTC on September 10th. The loss of this young man, newly married, deeply affected Dutia and TiE San Diego. The speaker of the evening was Arjun Malhotra, chairman and CEO of TechSpan http://www.techspan.com/ on the topic The Current Economic Slowdown: Threat or Opportunity for Entrepreneurs? I had the opportunity to speak to Malhotra prior to the presentation, which gave me a chance to hear about how he and five of his friends started the first "garage computer company" in India in 1975. Armed with pooled finances of about $17,500 and working in his grandmother's attic (the Indian version of garage), the team started Hindustan Computing Ltd (HCL)-which is now the largest IT company in India worth billions of dollars and employing 8,000 worldwide. I also met Ajay Shah, the CEO of Hindunet http://www.hindunet.org/ which is now based in San Diego. In 1998 and 1999 Hindunet, a portal for Indian websites, gained attention for being one of the top 100 sites in the world. One of the greatest things about the Tie San Diego meetings is the food. A full dinner and happy hour appetizers are catered by the famous Star of India restaurant http://www.starofindia.com/, and I happen to know that the food is one of the reasons that these meetings are so popular! I also spoke briefly with Shabnam Miglani, who with her husband recently sold Softprose, Inc., a company creating software for the digital television industry. Now they are bootstrapping a new company that will provide digital engineering services for the same industry. If you want to get a full dose of TiE (The Ind-US Entrepreneurs), plan on attending their upcoming annual conference called TiECON 2001, taking place on Saturday October 27th. It looks to be a very interesting and well-attended event! I got a call the other day from Nancy Clark, CEO of WomensMedia.com http://www.womensmedia.com/. They are in the process of finalizing plans with Coaching.com, part of the Ken Blanchard group of companies, to collaborate on online training programs…a great market to get into now that business travel is cutting back. Clark has assembled a strong team of advisors and strategic partners, and is now seeking additional funding to complete the software development. Clearly, good things are happening in San Diego! Lilia Phleger Benjamin is the owner of digitElle, a small public relations agency providing market research, online strategies, and media planning. She is also the co-founder and managing director of Techniquelle, a networking organization for creative and tech-savvy people. Lilia can be reached by email at lilia@digitelle.net. Some might say it was comedy with a "k." Some might say it was a NY-version of an unofficial Burning Man. Some might say it was a wonderful attempt at community in the face of some real hurdles. However you looked at it, the WWWAC Rocks benefit on Tuesday, September 25th at the Luna Lounge brought together about 50 WWWAC-ies for a night of wacky music and community effort to raise funds for the UFA Widow's & Children's Fund. Among the more colorful WWWAC list members were the vivacious "Mrs. J. Hart" (with her husband, who's not Mr. Hart), Paul Dube and Jen Runne. Larry Aronson made an appearance and board member Scott Bowling worked the door, collecting the donations, which he said "grew into the three figures." The very fun and arty show was kicked off by board member Gary "Grimmwerks" Schafer who has an excellent voice and did a very good job singing four songs with a guitar. Board member Bob Frankel spoke for a bit on what WWWAC is doing regarding the crisis in New York and for relief efforts after the terrorist attacks. Bob then introduced the emcee for the evening, comedian Dan Cronin, who worked the cold crowd as best he could. When they heckled too much, he grabbed the hecklers and grilled them on stage. That'll show 'em! "Pro Choice for Mental Health" was the first band up-when they finally got there. After being AWOL for about 45 minutes, their first "number" was a scripted play that the band members and people from the audience read off notepads in a stilted manner. When they finished this, the guitar player couldn't find his guitar (not hard to believe since there was an enormous amount of gear on the stage). So, over a microphone, he accused an audience member of stealing his guitar. Finally, they played for about five minutes and were quite upset when they were kicked off the stage. Harrumph! "German Cars vs. American Homes" was up next and their exciting and fun act was seriously weird. The seven band members approached stage as crabs (walking sideways, arms akimbo) and with the exception of the bass player they all played keyboard guitars. As their documentary "guy" filmed everything they did, but wouldn't tell anyone what he was doing or what was going on, the band rapped, screamed and did call/response type antics for their set. Board member Steve Masur's band "Noisy Le Grand" played next. Their set was characterized by heavy punk rock and the typical screeching that accompanies. It was punctuated when fellow band member Lars asked someone to "beer" him and Steve sprayed him with a cold brewsky. The evening ended with a resounding success to many hoots and hollers. The success of this night was in the community-development department. With a bit more notice and planning, WWWAC Rocks 2.0 will surely be a bigger and badder benefit. As reported above, most every event this week took on a new purpose and raised money for the various funds set up to assist in efforts after the disaster on Tuesday. The members of America's movie theatre industry have identified Tuesday, September 25th, 2001 as "Victims' Benefit Day at the Movies." On this day, 100% of ticket and concession sales at participating movie theatres nationwide will be donated to the September 11th Fund of the United Way, and the American Red Cross for this disaster and the emerging needs resulting from this tragedy. 50% of the proceeds will be donated to the American Red Cross and 50% will be donated to the United Way. A list of participating theatre companies is at: the National Association of Theatre Owners (NATO) website. Hotjobs's director of Public Relations, Fianna Sogomonyan, sent out an email announcing a Web site some of her friends created: http://remember-wtc.org/. Their hopes are that it will serve as a growing memorial to the survivors, the missing and the deceased, and also provide forensic clues for identifying the dead. The site is similar to other sites in that it provides the names of victims, but it gives users the opportunity to enter detailed information about their loved ones and upload a photo. It also enables users to search the database by name, enabling people to hopefully find their loved ones. This site has no affiliation to HotJobs and for more information about this site, please e-mail its creator, Allen Murabayashi, at: allen3@aya.yale.edu. Laurel Touby, of Media Bistro fame, is hosting her next cocktail party for media types as a voluntary Red Cross fund-raising drive Tuesday night, September 25th. The New York eComm set up a donation section on their site for the American Red Cross. NYNMA has a list of helpful resources and information. Always one quick to action, NYSIA's president, Bruce Bernstein, spoke with me on Friday about the efforts they've undertaken to assist companies affected by the tragedy on Tuesday, September 11th. Their "clicks and bricks strategy" to offer emergency business assistance to companies that have been dislocated and are suffering from after-effects is several-fold. There are forms for people to offer assistance ranging from supplies, equipment, services and office space. If your firm has been affected by the disaster, you can also fill out a form explaining your needs and requesting these items or services. Currently they have had 70 offers of equipment, services and supplies and 65 offers of space available for companies to use. Also quite efficient and effective is their relocated company directory. List yourself here so other firms and people can find you! Following Senator Charles Schumer's call for all New Yorkers to fly the flag, NYSIA is asking all New York City companies, in all industries, to put one of the twelve flag banner designs on their Web site home pages. The banner was created by board member Michael Pinto (CEO, Vanguard Media). Going forward, Bruce and NYSIA will be working hard to see that some disaster relief money coming into New York will be earmarked for technology companies. Additionally, their big annual event, the Software Summit, has been moved to January and has changed themes to be about "Rebuilding New York." In the meantime, their community meeting on Monday, October 1st will be a chance for people to gather and discuss how to rebuild their businesses, the industry and the city. Co-sponsored by The Cyber Scene you can find out more details at www.nysia.org. It is said that sleep is restorative but for the city that never sleeps, there's been a flurry of activity to rebuild and rejuvenate physically and psychically from last week's atrocious attacks. For the obvious reasons most every event scheduled for last week was either cancelled or postponed. This week, however, at the encouragement from Mayor Giuliani and President Bush, New Yorkers began resuming their lives by going back to work and getting out. Like a pebble tossed into a pond, so many ripples of effect are still reverberating from last Tuesday's nightmare. And one of those sad effects is the imminent closing of many Broadway productions. Again, Giuliani, with the interests of the city, its residents and visitors at heart, spoke passionately about the importance to try and resume our lives and go do things: go to the restaurants, attend theater and other cultural performances, visit the landmarks, go to the parks and stadiums. Live our lives. By doing this, we show the world and the terrorists that we are not and will not be ultimately defeated. And while we may feel defeated and deflated by what happened last Tuesday, Giuliani and Bush are correct and appropriate in their gentle prodding. Silicon Alley rallied and almost every scheduled event this week (and a few new ones) added a benefit angle to them. Most every Web site for local (and national) businesses had mention of the terrorist attacks on September 11th, condolences to the victims' families and some demonstration of support with links to leading funds for donations. Man-about-town Bernardo was leading the charge, as is his typical charming nature. And on Thursday, September 20th he rallied folks from my cocktail party (me included) to stop by the EuroCircle event across the street on the spectacular 42nd floor Estrala Penthouse atop the Le Parker Meridien hotel. Founded in January 1999 by Kaisa Kokkonen the EuroCircle is an informal network of European professionals where ideas, thoughts and information are exchanged between European and non-European individuals, companies and other institutions. There is an on-line community at EuroCircle.com and an off-line community via it's events. With over 65 countries represented, and with events in thirteen cities, they are quickly becoming one of the de facto networking organizations for Europeans. After the terrorist attacks at the World Trade Centers, which had people from 80 other countries, in addition to the United States, in the towers, the EuroCircle began getting hundreds of emails from other chapters expressing their sadness, sympathy and solidarity with New Yorkers. Some hoped the EuroCircle could help them locate missing loved ones. Many wanted to contribute to the relief efforts but didn't know which funds were reputable. As a result, the EuroCircle's event became a fundraiser as well. They collected donations from people and will send them on to one of the four leading established charities. From the pretty views Central Park and midtown on the terrace, I chatted with some of the guests and EuroCircle director of logistics Victor Voloshin. He was quick to point out that they felt having the event as a benefit was very important. He also mentioned that religious and ethnic tolerance is a guiding principle of EuroCircle and now, more than ever, we must be vigilant about prejudices and not blindly attack Arab Americans, Middle Easterners or members of the Islamic faith. They will continue to provide a community and support network for Europeans and based on the strength in numbers last Thursday night, it seems they'll be going strong for a while. It took a shock to our stock market, a decline in the tech industry, thousands of layoffs, a slow summer and then the greatest national tragedy our country has ever experienced, but this month's Cocktails with Courtney event was actually one of the nicer ones. One of the original goals I had for my party series was to create an event to get together with friends in the industry. And on Thursday, September 20th I held the cocktail party as a benefit for the New York Firefighter's 9-11 Disaster Relief Fund. From 6:30 PM till about 9:00 PM, a little over thirty friends came by to have a Bombay martini cocktail and some hors d'oeuvres, compliments of the Carnegie Club. The group was small but strong in their support of each other and the fund and all together raised over $700 for the fund. My sincere thanks to all those who came. Please note that we will be planning our holiday benefit, which will have ties to raising money for relief associated with the September 11th tragedy. If you are interested in participating, please email me: courtney@pulitzer.com. Allison Hemming is used to taking advantage of a negative situation and rallying a cause to support it. With her popular Pink Slip Parties she created a venue for those out of work to commiserate, drink and network. This week, she shifted gears and established, with the assistance of Webgrrls' NYC Chapter Leader Eileen Shulock, the SiliconAlleyCares.org Web site and benefit. When Eileen and she kept getting hundreds of email requests asking "how can I help?" they got together to build a site and organize volunteers. Eileen coined "Silicon Alley Cares" and the site aims to be a command central for Silicon Alley-ites who wish to volunteer. The site is a consortium of individuals, companies, and organizations committed to channeling the care and generosity of our industry and city into tangible effort that makes a difference. Held on Wednesday, September 19th at Hush, the benefit's goal was to raise funds for the United Way's September 11th Fund. While at press time we don't know how much funds they raised, they have been busy coordinating volunteers. Thus far Eileen reports that "for the past eight days nonstop [she has] sent 70+ data entry and IT volunteers to various Red Cross projects." With an offer of 4,000 Webgrrls at their service, they began getting to work organizing shifts of 20 at a time around the clock. They've placed over 400 people thus far. Eileen also commented that "in the end, the Internet works for its original intended use, as I was able to rally a group of volunteers by email when nothing else was working... and there are so many tech people who want to help...It's a good thing. They have done wonders, those volunteers." For more information and to register to volunteer, please go to http://www.SiliconAlleyCares.org. Report to the FBI any information about the tragic acts of terrorism upon the United States: www.ifccfbi.gov. Morgan Stanley (World Trade Center tragedy hotline) - (888) 883-4391, visit www.morganstanley.com or e-mail status@discoverfinancial.com. NY.com -http://www.ny.com/wtclist.html contains updated list of survivors, along with their condition when appropriate. this to everyone on your e-mail list. We need to reach everyone across the United States. When the markets re-open, in a show of support and solidarity, BUY at least one share of stock in a U.S. company. Open your minds to imagine what a SLAP in the face of terrorism it would be if the American markets actually RISE instead of PLUNGE when they re-open! Can you think of a STRONGER message we could send to those who would seek to destroy our way of life? If you DON'T own stock and don't have a stock account, you can do it quickly and easily and cheaply. This e-mail is sponsored by no one, so if you also have a suggestion for people without stock accounts, please add that information before you forward this e-mail. This e-mail is started by an average citizen just like you. WE can create an unbelievably POSITIVE revolution by participating wholeheartedly in this movement to support the US economy. If we all participate in a massive stock sell off, then we are BOWING to terrorism. We do NOT have to do that. We have a choice. People by the hundreds of thousands are lining up to donate one pint of blood. Think of the effect we can have if we line up in the same way to "donate" to the American economy! For very little money you can DO something to show would-be terrorists that they will NOT win. If you are willing to dismiss this because you are "just one person," then look at the footage that's being replayed constantly on the TV and consider the tremendous impact that just a dozen people had on our world yesterday. YOU CAN MAKE A DIFFERENCE! Take part in this revolution and forward this e-mail to everyone on your mailing list. We can reverse the tide of the finanical carnage throughout the world just by doing that. WHEN THE US MARKETS RE-OPEN, BUY AT LEAST ONE SHARE OF STOCK IN A U.S COMPANY. Imagine the headlines we will read when we all make this happen..."US Financial Victory -- Of the People, By the People, and For the People." Respond with STRENGTH instead of FEAR when the US Markets open. In that way, and ONLY in that way, WE win! Business Relief Diaster Fund -- www.thecodefactory.com -- The Code Factory, working in conjunction with lending institutions and technical partners, is offering its services free and at cost for any business or organization affected by the tragedy surrounding the WTC. The Code Factory's Business Disaster Relief Effort offers flexible payment and financing terms on the hardware, software and services required in this time of need. The program is specially designed to give budgets the extra boost it deserves in the wake of this month's events. displaced WTC companies. Any revenue that we receive on those listings for donated space will be donated by us to the September 11th Fund operated by the United Way of NYC to provide aid to the victims of this horrific tragedy and their families. Coaches from Around the Country Volunteering Their Services for those in need of experts in grief, loss, stress and trauma. If you or someone you know is in need of support due to the tragic and traumatic events on September 11, 2001 please let me know. People in need of support should email Support@CoachingCircles.com or Janice@CoachingCircles.com or call toll free 866.244.9441, 212.244.9441, 212.706.0092 or 917.969.5407. Since our offices are in NYC we are having trouble with phone lines so email works better. Dylan Thomas wrote, "Do Not Go Gentle Into That Good Night...."
"Fashion and Technology: The intricate woven pattern of influence"
How the fashion and technology industries influence each other, or not?